Ever been appalled at Australians habit of not slowing down when they can clearly see an animal on the road or by the verges? Are you one of those thinking caring types who wonder how their mates will fare and what an unnecessary waste of life it is? You are not alone if so. 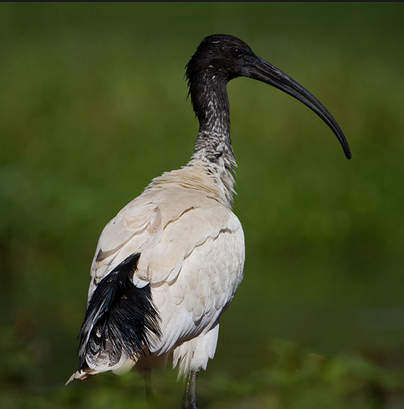 While driving along a country road in the Northern Rivers area of NSW Australia recently, I witnessed several Ibis on the road ahead with two cars fast approaching. I mentally called ‘Get off the road!’ because I could see the cars were not slowing down to leave time for the large, slow moving birds to fly away. They finally flew and it appeared they just made it but there must have been another Ibis lower down that the car ahead smashed into as it was arching up to the sky. It was violently catapulted into the air, feathers flying everywhere and landed on the other side of the road. Horrified, I jumped out of the car to help but life had expired from its body. Why can’t people slow down for just one second to give animals a chance to get off the road? Do they not know that birds mate for life and the careless and uncaring act of killing its mate dooms the mate to a lonely life forever? Perhaps they think animals don’t have feelings which is clearly untrue. Anyone who has a dog or cat can see all kinds of emotions – joy, sadness, anger, fear, jealousy, love etc. Perhaps it was because the driver had contempt for these birds who are usually seen rifling through garbage cans in towns across Australia. They are regarded as 'stinky canary' because they eat our refuse. But ever wonder why? Their natural habitat was the Murray Darling basin which is primarily used for agriculture and people now, leaving no space for the native species to survive. Since European settlement a whopping 20 of 85 mammals have gone extinct. 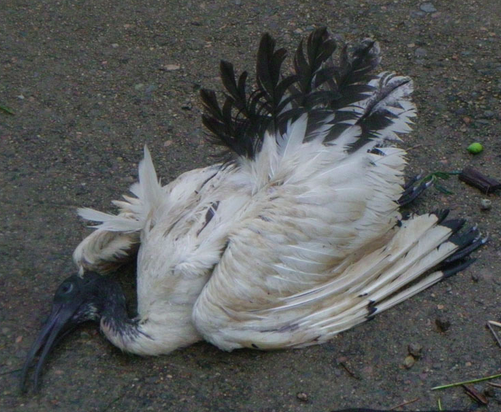 And that is why Ibis are flocking to the cities, they have lost their natural habitat due to our selfishness (like so many other species). In past years I've seen more native roadkill strewn by the side of the road – bandicoots, possums, wallabies, snakes, water dragons. These days I mainly see dead birds. We are a nation that does not value our native animals and as a result have the world’s worst record for mammal extinctions, having lost 62 species to extinction (birds, mammals, frogs, reptile, insects –Wikipedia) since 1788. 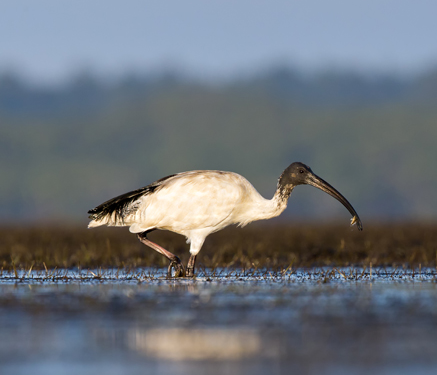 Australia has 1800 species at risk of extinction right now. While most of these extinctions are related to habitat loss and bushfires, we can all make a difference by just being conscious and slowing down when we see an animal on the road or on the verge. We can also urge our friends to slow down for wildlife when driving especially on country roads and even more especially at dawn and dusk when most animals are coming out to eat. Please don’t add to the carnage. Slow down for wildlife. Many years ago I decided not to drive in the country at night and at dusk and dawn unless absolutely unavoidable. Those times are when more animals are on the road. It seems that many drivers think that continuing at a constant speed towards an animal or bird constitutes good driving. People are instructed that they should disregard wildlife and crash into them in the interests of safety. I was once admonished by my passenger whilst driving towards the surf coast for braking to avoid a huge bird which would have hit my windscreen. I used to drive near Buxton at night where the speed limit is 80kms per hour. 80kms is too fast at night as wombats abound but if you drive at 80 or slower you are tailgated and bullied from behind. I think new drivers need education as do the older ones that it is not OK to plough not wildlife but for the latter it is probably too late. Thanks Quark. Unfortunately Australians seem to think that native animals are all 'pests' and in the way of development. This attitude is fostered by the government who approves the world's largest slaughter of land-based wildlife - i.e. kangaroos. Abject cruelty to kangaroos or koalas committed by individuals is punished with a mere slap on the wrist and rarely is the full penalty imposed. What chance do our native animals have with such an apathetic government and populace? I just wish more people had compassion and woke up to the big picture.